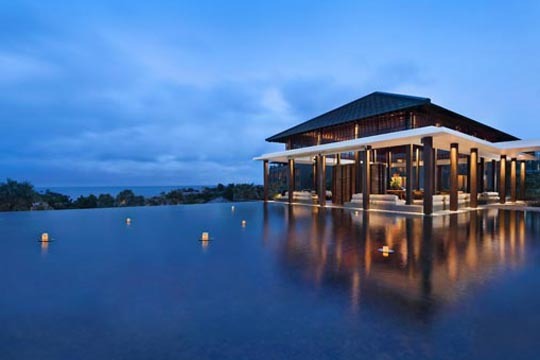 The newly opened Radisson Blu Bali Uluwatu boasts a prime location in the hills of Uluwatu, an enchanting area offering rural simplicity, awe-inspiring cliffs and a serene vibe that fits perfectly with the world-class swells beloved by international surfers. With walking distance to Impossible Beach and close to the renowned Bingin Beach, Padang Padang Beach and Blue Point Beach, this resort is an idyllic location for days sunbathing by the 1,000sq.m. 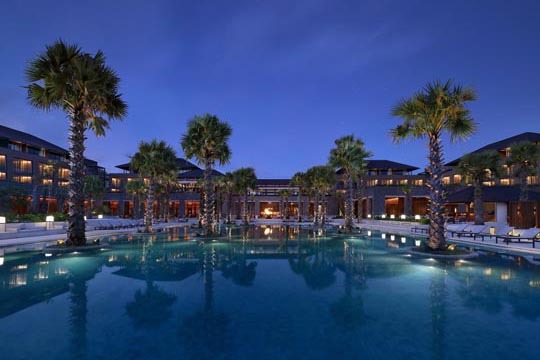 pool, indulging in the various cuisines, keeping up your fitness regime or relaxing in the spa. The resort boasts five food and beverage outlets. All-day dining can be found at Artichoke, while Italian treats are served at the relaxed and contemporary Filini. Lookout, meanwhile, has a strong cocktail programme served alongside bar bites created to complement the drinks. The health conscious can head over to Lucid Liquids, while the pool crowd can indulge in the ever-popular Choka pool bar. 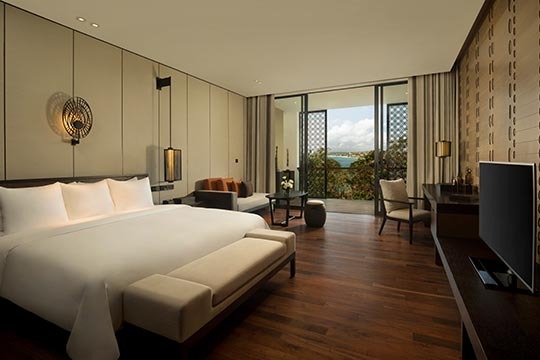 The resort’s rooms and suites offer a Balinese fusion of contemporary design with traditional materials, private balconies, high-speed Wi-Fi and IPTV. The 111 Deluxe rooms, with various view options, are a generous 58sq.m. Situated on the top floor and benefiting from high ceilings are 14 sophisticated suites with spacious panoramic roof top terraces and glass walls to take full advantage of the stunning views. 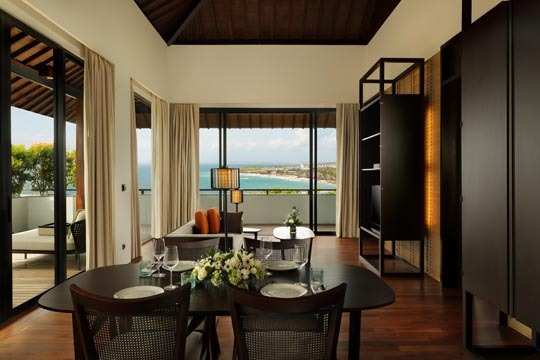 The Ocean View Suite additionally offers a separate living and dining room, making it ideal for an indulgent holiday as well as for private functions. 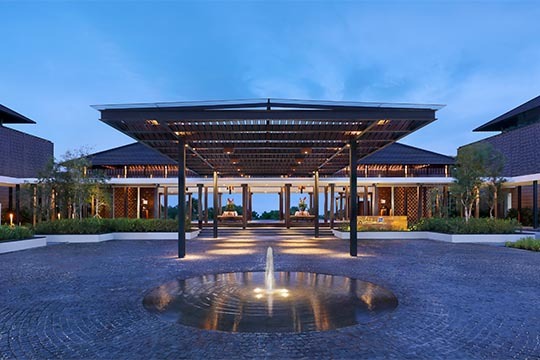 The resort also has a spa, fitness centre, beauty salon and yoga room, as well as meeting rooms, a garden pavilion and ceremonial pavilion.